A house on the water isn’t something often seen in the real estate listings here. 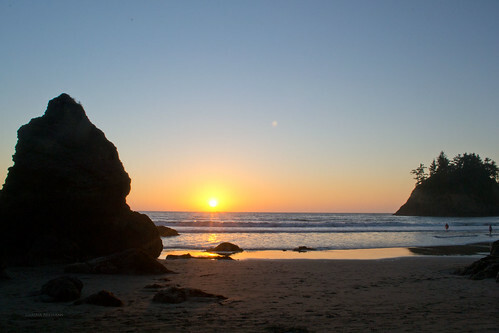 In fact, the coastline is sparsely inhabited, thanks to meandering rivers, crumbling cliffs, and the threat of a 30 [or higher] foot tsunami knocking at your doorstep. Walking along this coast provides an entirely different feeling than that of walking along the beaches in Charleston. Not better–or worse–but just different. Instead of wondering what sloppy wet dog is going to jump on my camera next, or who is watching from what beach house as I poke at a half exposed whelk, here along the North Coast, we are the watchers, pondering the crab boats’ next moves, cringing as people get too close to the surf [of what few people are out on the beaches anyway], and we sometimes debate evacuation routes in case of an earthquake-induced tsunami. Here, the landscape dominates, hiding people and civilization; in Charleston, it felt as if you could tell you were standing on a giant sphere [no flat-earth-theory-breaking-equations necessary], with multistory beach houses determining the look of the horizon. I was surprised when, the first time on a local beach, I rounded a cliff corner during low tide to find no trespassing signs and a house precariously perched on a shelf just barely above the ocean. The view they must have during winter storms when the waves are huge! Woooweee! Coming from the land of tornadoes, and having a weatherman for a husband, storms don’t seem near as scary as the threat of tsunamis and large earthquakes do. Some days, the waves crashing on the beach rattle our house, a constant vibration that unnerves if you start thinking about it too much. I can’t even imagine living at that house! Just knowing in an instant the earth could shake so violently that your house might end up in the tidepools, and if that somehow doesn’t happen, then a succession of house-eating waves will come barreling towards you, giving you at most 5 minutes to find higher ground….ufff! Makes you really ponder how strong your walls really are, whether they are made from straw, wood, or brick, Mother Nature seems to be entertained with knocking them down in some elaborate fashion every now and then. I remember in Charleston wondering if I’d have to pack up the pets to sidestep an approaching hurricane. Here, the scenario is a bit different, to say the least. Definitely a different feeling! Today’s weather waltzed between hailstorms and rainbows. Not a bad view from the office, either way. 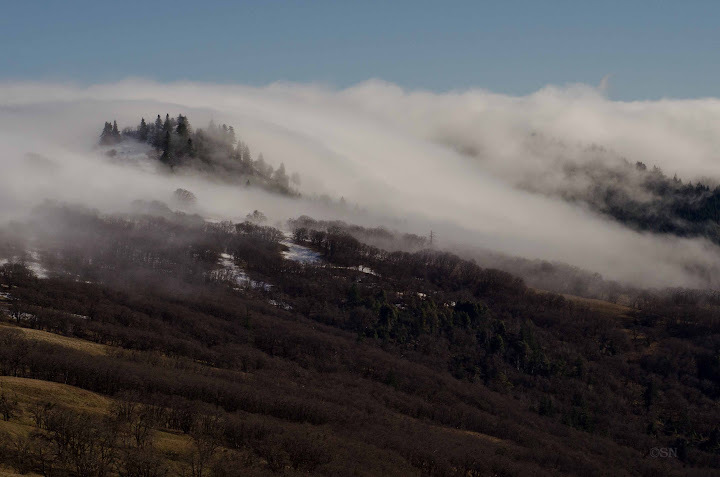 When we moved here to north of Northern California, also known as the North Coast, we were told that there aren’t seasons here, just rain during the winter and fog during the summer. The temperature only fluctuates by about 20 or 30 degrees, so that seasonal indicator isn’t of much help, either. 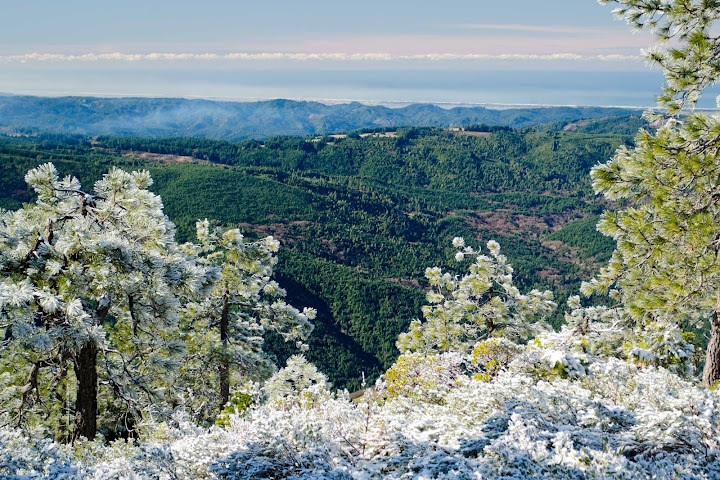 While there aren’t traditional seasons right here on the coast, you can go 20 or 30 miles inland and find them, complete with snow or scorching temperatures! But, if you keep your eyes peeled and pay attention to nature, you’ll notice that the seasons are in fact here, even if the temperature is the same every day. For example, the flowers here on the North Coast go through a seasonal succession. They progress, just like other places with more ‘typical’ weather, from the Spring beauties to the final blooms of Fall. Animals, too, follow the subtle seasonal rhythms. The Roosevelt Elk are starting to bugle and compete with each other, marking the start of the rut that most elk herd ritualistically participate in during the month of September. Birds have come and gone, and others have arrived. Varied and Swainsons thrushes have migrated elsewhere, leaving the Redwood forests nearly silent, but others, like the Band-tailed Pigeon have come crashing into the cascara and alder thickets. Swallows, both Cliff and Barn, as well as Marbled Murrelets, hit their peak mid-summer while raising their young, and most have now completed the task and are enjoying their time “off”. During the Spring, it was hard to find a spider anywhere, but now, especially early in the morning, you find them everywhere. You know you are the first one to walk a trail when you walk through webs every 4 feet! 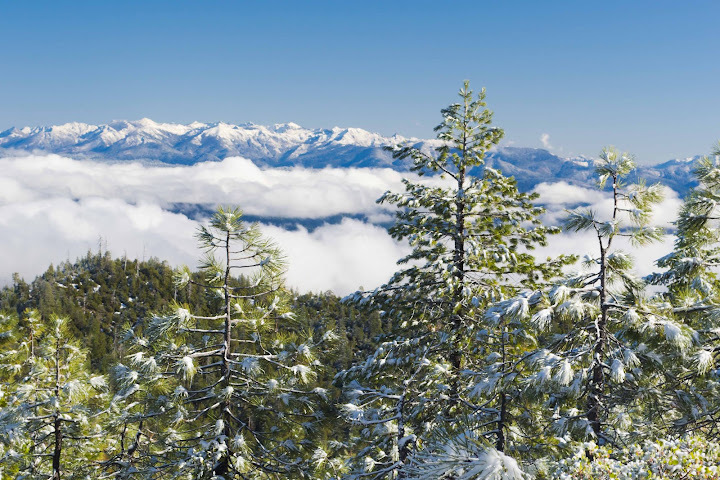 So even though we don’t get feet of snow and hot weather, Nature is still marching on and changing to the “invisible” seasons that are controlled by the Earth’s tilt and rotation around the Sun. The breezes carry only the smell of the Pacific Ocean and its kelp, but Autumn and its sunshine are seeping in through the fog! Big and Small: It’s All Here! Just like the people here, there is a lovely eclectic mix of natural wonders here. Of course, there are Redwoods, frozen giants that watch as we busily scurry below their towering tops. While they are marvels in and of themselves, there is much to see on and near them. 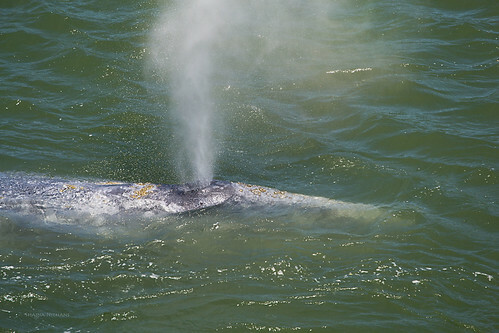 A gray whale with her calf have been swimming in the Klamath River now for 15 days. No one is quite sure if she can get out on her own. I’ve heard she might be there for safety, to remove parasites, or she just got lost. I’m not sure if anyone knows for sure, but hopefully she will leave when she feels like she needs to. She is about the size of a school bus and feeds on bottom-dwelling invertebrates by stirring them up with her nose and then sucking in the food-filled water and filtering it with her baleen. Not so large, but the largest subspecies of elk and the largest land mammal around, the Roosevelt elk are gearing up for their rut. 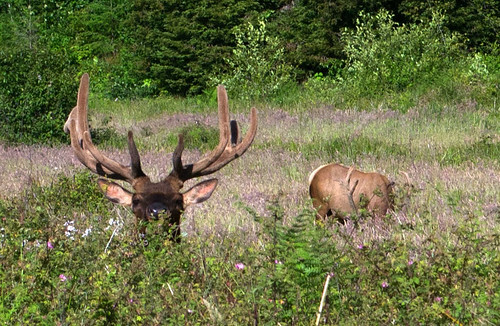 Males are starting to lose their velvet from their antlers. The bachelor herd has been seen in Elk Prairie in Prairie Creek Redwoods State Park frequently recently! 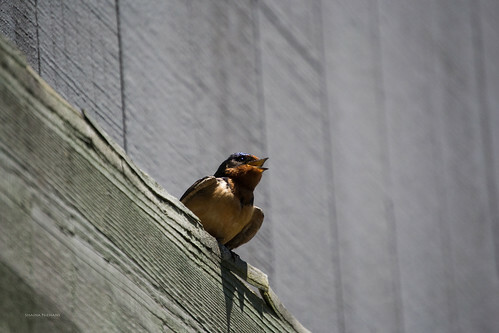 Even smaller, the Barn and Cliff swallows have been busy raising their chicks and keeping the crows and ravens from their nests. Amazing how small their eggs are! This swallow was taking a break from insect collecting to catch its breath. 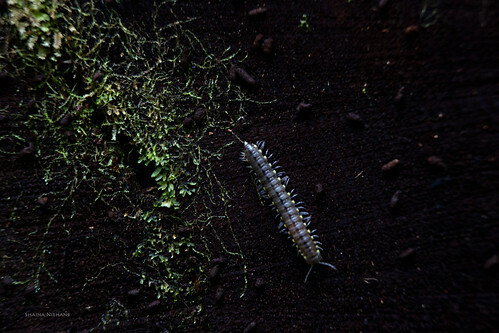 It seems the Yellow-spotted millipede [the ones that smell like almonds!] have stopped hatching out in such large numbers and have sought out their summer hide-outs in nooks and crannies on the forest floor. 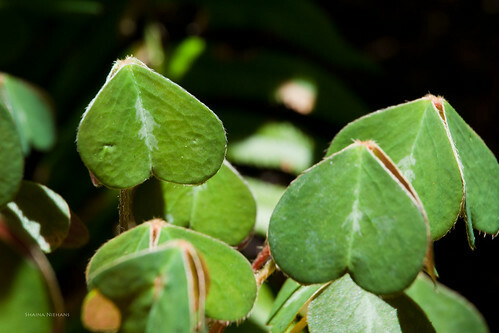 The Redwood Sorrel, a clover-looking Oxalis, still has some blooms, but there are lots of new leaves popping up. These young leaves have yet to mature to the dark purple that the older ones have. Lots of lichen abounds in this area. 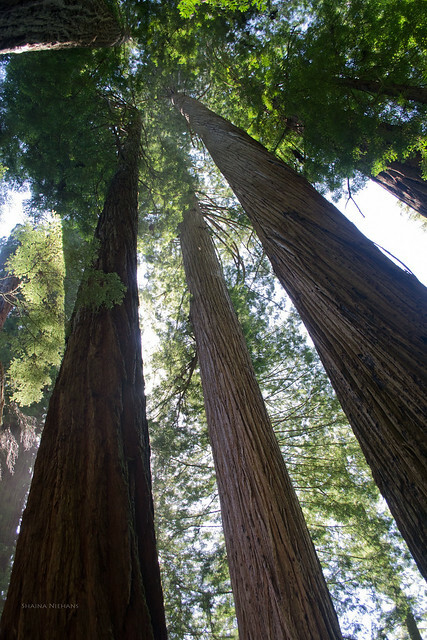 The redwoods are essentially the start of the Pacific Northwest Rainforests. 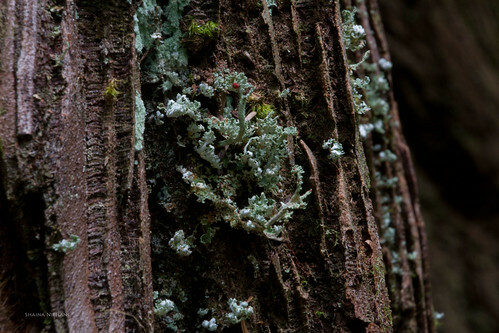 From lungwort to old man’s beard–variety is the spice of life [or lichen]. 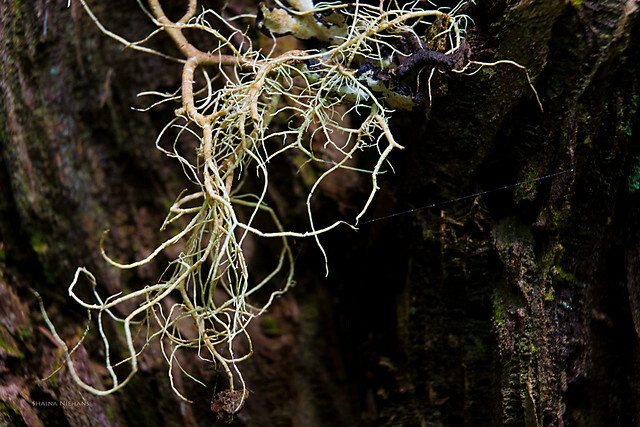 Entwined in a symbiotic relationship, fungus and algae grow together in odd shapes and patterns. Largely looming or sheepishly small, there is a lot of life in these quiet, ancient relict forests.